Gladstone styled weekend holdall in Dark Brown tumbled leather. 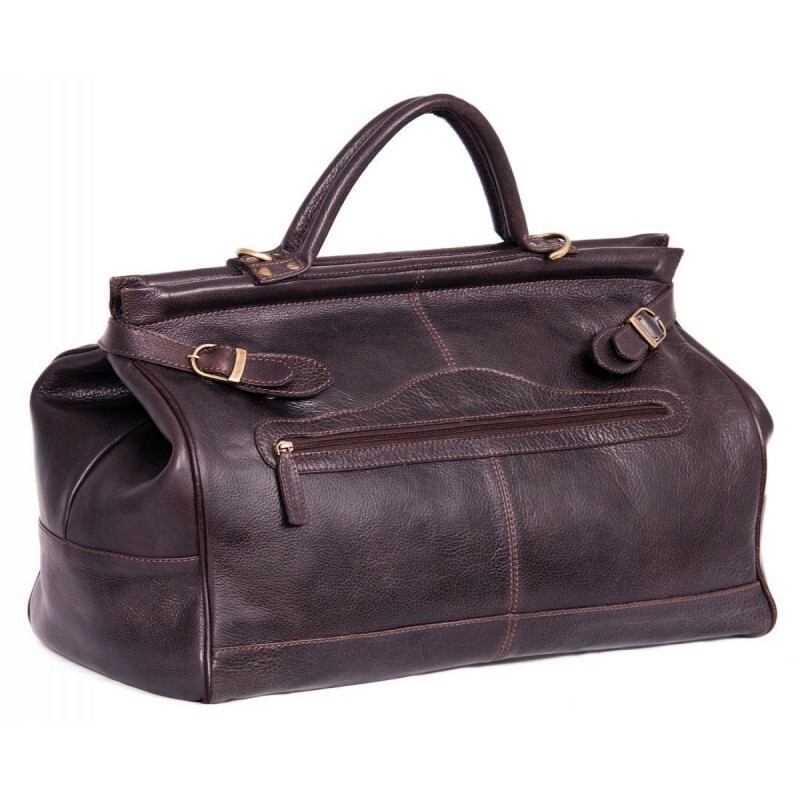 The softly grained leather and antique brass fittings give this bag a unique style. Featuring a large main compartment with internal zipped pocket. Grab handles with sliding grip for extra comfort when carrying heavier loads. Hard base with studded feet.